The AVS Chrome Hood Shield is a custom-molded hood shield precision-engineered to fit your vehicle perfectly. This hood shield’s medium-profile is aerodynamically efficient, and provides excellent protection as stones and other debris deflect away from the hood, fender and windshield of your truck or SUV. Mounts away from the hood for easy cleaning. Features easy installation with no drilling required. Auto Ventshade's Bugflector II Hood shield is custom-molded and precision-engineered to fit perfectly, designed to protect and complement the contours of your vehicle's hood. The high-profile, wrap-around design is aerodynamically efficient and provides excellent protection for your hood, windshield and fender, deflecting rocks and other hazardous road debris. Impact-modified acrylic material is wear-and-tear resistant and car wash safe, providing maximum durability. It can also be easily removed from the hood for simple cleaning, and includes all installation instructions and required hardware. This hood shield provides easy installation with no drilling required. In order to protect the hood paint from rubbing, the set includes several rubber bumpers applied to the hood during the installation. Protected by a Limited Lifetime Warranty. Auto Ventshade's Hoodflector Hood Shield is custom-molded and precision-engineered to fit your vehicle perfectly. This hood shield features a lower profile that is aerodynamically efficient and provides excellent protection from stones and other road debris. Impact-modified acrylic material is wear-and-tear resistant and car wash safe, providing maximum durability. The shield is easily removed from the hood for easy cleaning and waxing. Features a simple installation process that can be completed at home in 10 minutes or less with no drilling required. 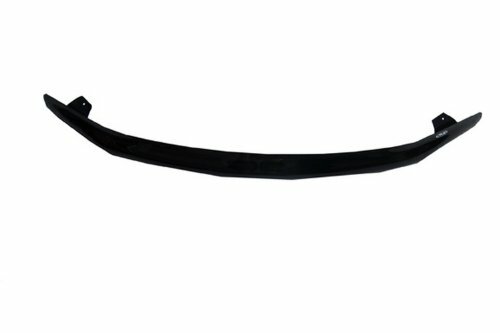 In order to protect the hood paint from rubbing against the shield if hit by debris, the set includes several clear rubber bumpers easily applied to the hood during installation. The set includes installation instructions and required hardware. 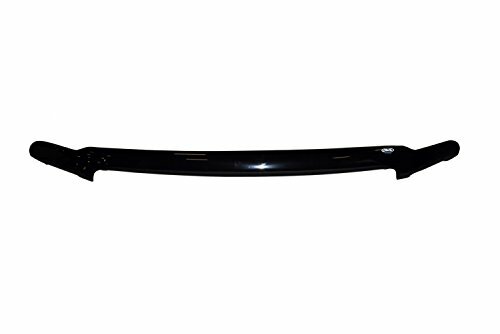 The AVS Bugflector is designed to complement the contours of your vehicle's hood. This custom-molded hood shield is made in the USA and precision-engineered to fit your vehicle perfectly. This hood shield’s low-to-medium profile is aerodynamically efficient, and provides protection from stones and other debris that ricochet near the the hood and windshield. The shield’s durable impact-modified, acrylic material makes this accessory wear-and-tear resistant. Your vehicle’s Bugflector can remain on the hood during a car wash. The accessory can also be easily removed from the hood for simple cleaning and waxing. The Bugflector features a simple installation process that can be completed at home in 10 minutes or less. No driling required. 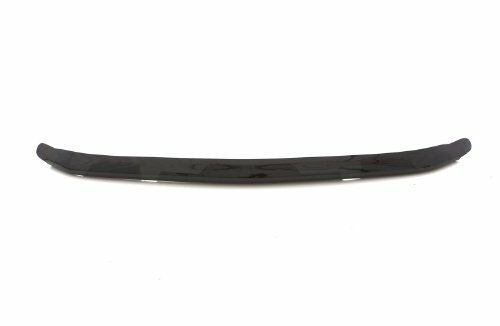 In order to protect the hood paint from rubbing against the shield if hit by debris, the set includes several clear rubber bumpers easily applied to the hood during the installation. The set includes installation instructions and any required hardware. The Auto Ventshade Carflector is designed specifically for cars and SUVs, with all the features and benefits of its bigger cousin, the Bugflector II. 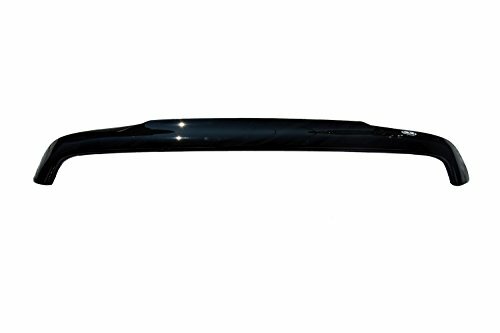 The AVS Carflector is designed to protect and complement the contours of your vehicle's hood – keeping it looking new. This custom-molded hood shield is made in the USA and precision-engineered to fit your hood perfectly. 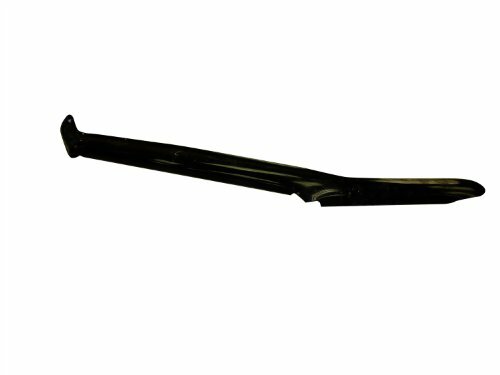 This hood shield’s lower profile provides extra protection from mud, sand, dust as well as rocks and other road debris. The shield’s durable, impact-modified acrylic material makes it wear-and-tear resistant as well as car-wash safe. Your vehicle’s Carflector can remain on the hood during a car wash. The shield is easily removed from the hood for easy cleaning and waxing. Features a simple installation process that can be completed at home in 10 minutes or less with no drilling required. 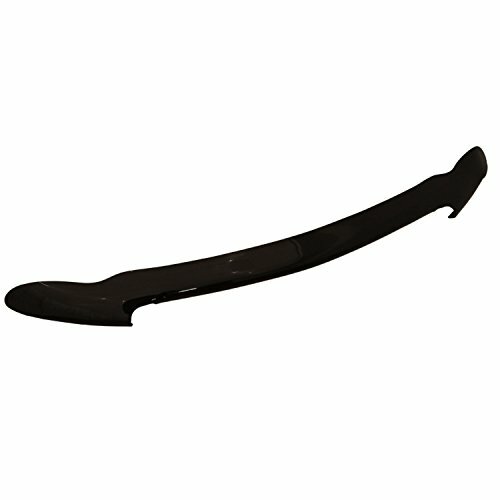 In order to protect the hood paint from rubbing against the shield if hit by debris, the set includes several clear rubber bumpers easily applied to the hood during installation. The set includes installation instructions and required hardware. Looking for more Auto Ventshade Hood Shield Bug similar ideas? Try to explore these searches: Motorcycle Biker Gloves, Honda Accord Lug Nuts, and 3 Diecast Action Figure. Look at latest related video about Auto Ventshade Hood Shield Bug. Shopwizion.com is the smartest way for online shopping: compare prices of leading online shops for best deals around the web. Don't miss TOP Auto Ventshade Hood Shield Bug deals, updated daily.